Can you imagine a world without chocolate, no delicious Double Deckers, sugary Smarties or huge slabs of Dairy Milk? In ‘The Great Chocoplot’ by Chris Callagahan chocolate expert Professor Fizziwicks proclaims on national TV that it is the end of chocolate for good. In five days time a “cataclysmic cacao catastrophe” otherwise known as a ‘Chocopocalypse’ will occur. Armed with a bar of chocolate (for research purposes only) I set off to find out just what was going on, to see if I can unravel this mystery and ascertain once and for all is this really the end of chocolate as we know it. Jelly and her family live in Chompton-on-de-Lyte, which is at the centre of the chocolate world. According to local legend, Sir Walter Waffle became lost and instead of sailing into the Thames with his ship filled with newly discovered chocolate he ended up on the River de Lyte instead. So when the end of chocolate is announced, Jelly can’t believe it. Determined to investigate, with her in tow they follow a trail of clues to a posh chocolate shop and its owner, the pompous Garibaldi Chocolati. Gari’s suspiciously smug, despite his failing business and yucky chocolate. Is it really the chocopocalypse, or is there a chocoplot afoot? 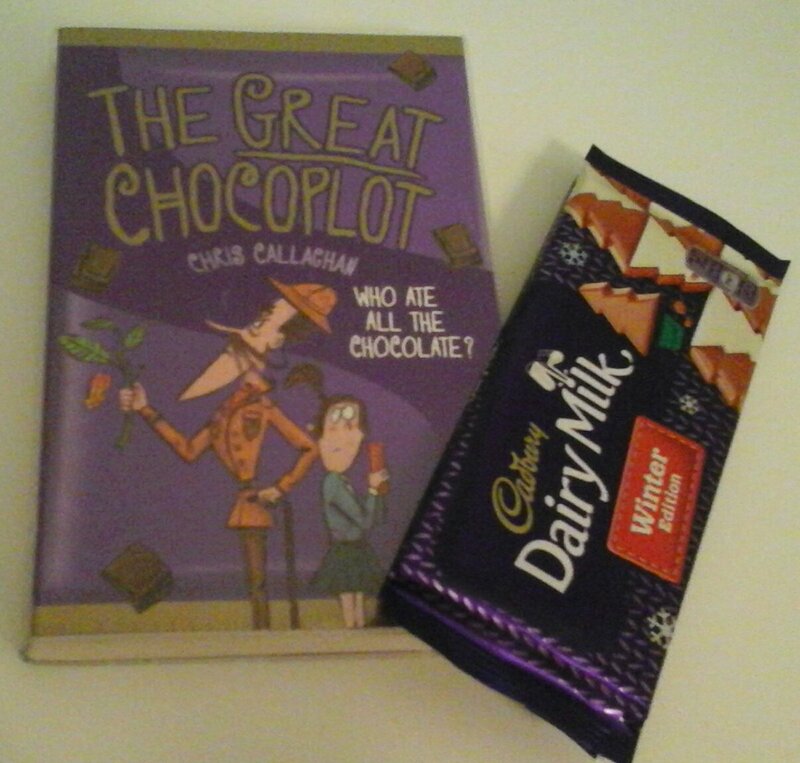 ‘The Great Chocoplot’ is a fun filled adventure that will make you smile as much as a selection box on Christmas Day. Featuring a marvellous cast of characters, from the eccentric Wellington family to the cantankerous Mrs Bunstable and the truly sinister Garibaldi Chocolati, this is a engaging and endearing read. Not only do we have an exciting case to crack we are also treated to the realities of family life, which gives the story a real heart and soul. Things are tough for the Wellington family, Jelly’s Dad is unemployed, her Mum is working night shifts at the supermarket and Gran since the death of Grandad is consigned to life in the Gran-a Van. Yet despite all this our plucky and spirited heroine Jelly is determined to stop at nothing to uncover the truth behind this sinister plot. Stuffed full of laugh out loud moments with plenty of subtle humour squeezed in for the grown ups this book is a real delight, I absolutely loved it! A huge shout out to the illustrator Lalalimola whose lively, energetic illustrations and striking cover capture perfectly the chaos and confusion that is caused by the mystery of the great chocoplot. This entry was posted in Uncategorized on November 23, 2016 by bookloverjo.